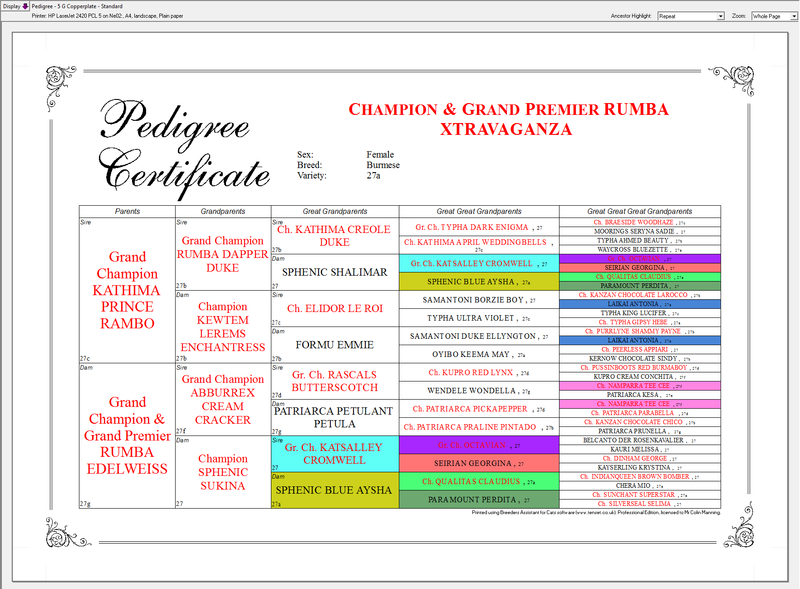 Pedigree Assistant® is an app for breeders of cats, dogs, and other animals who need to print high quality pedigree certificates. It stores the underlying breeding data so you do not need to re-enter it when adding new pedigrees. If you need other features beyond printed pedigrees you should consider one of our other products such as PedPro or Breeders Assistant. Version 3 now available with ancestor highlighting and other changes. Are You a Mac User? 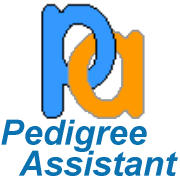 Pedigree Assistant is designed for Windows. But you can run it on a Mac if you have a Windows emulator such as 'Parallels' or similar. If you need a native Mac product then consider PedPro instead. The latest version supports direct import from Pedigree Assistant.